Special focus on key areas will be made during 12th Plan to accelerate the pace of attainment of Universal Health Care in India. This was stated by Shri Sudip Bandyopadhyay, Minister of State for Health and Family Welfare at Yogyakarta, Indonesia. He said that India is committed to enhanced public health spending and accord priority to bring equity by addressing inter and intra state variations on its path to realization of the goal of “Health care for all”. India has been making consistent and serious efforts to expand and strengthen the public health system and improve quality of care. We are providing several services free of cost such as immunization, family planning services, free diagnostic and treatment of communicable diseases and since last year, cash less service for delivery at public health institutions. The Government of India implements National Vector Borne Disease Control Programme for prevention and control of vector borne disease including Japanese Encephalitis/Acute Encephalitis Syndrome. Govt of India has taken the following steps since 2011 to tackle the deaths of children due to JE/AES. Government of India constituted a Group of Ministers in 2011 to evolve a multi-pronged strategy to address multiple issues relating to Japanese Encephalitis/Acute Encephalitis Syndrome. The GoM held 4 meetings and finalized its recommendations pertaining to public health interventions, expansion of JE vaccination, improved case management, medical and social rehabilitation, improved provisions of drinking water and sanitation in rural and urban areas and improved nutrition. The recommendations of the GoM have been submitted to Cabinet Secretariat. As per the latest data on Maternal Mortality Ratio (MMR) from the Sample Registration System of Registrar General of India , MMR in the country is 212 per 100,000 live births for the period 2007-09 which translates into an approximate number of 56,000 maternal deaths in one year. As per SRS 2010, the Infant Mortality Rate (IMR) is 47 per 1000 live births which translates into approximately 12.5 lakh children dying before they reach their first birthday. The main reasons for Infant Mortality in India are perinatal conditions (46%), Respiratory infections (22%), Diarrhoeal diseases (10%), other infectious and parasitic diseases (8%) and Congenital anomalies (3.1%). Several species of exotic birds are bred in captivity in India for commercial trade. As per the EXIM policy of India, the export of live exotic birds is prohibited except for Albino budgerigars, Budgerigars, Bengali finches, White finches, Zebra finches and Jawa sparrow. The Albino budgerigars, Budgerigars, Bengali finches, White finches and Zebra finches are free to export as per the provisions of EXIM policy subject only to pre-shipment inspection. The export of Jawa sparrow is restricted and it is permitted under license, which is issued after certification from the Chief Wildlife Warden of the concerned State/Union Territory where the exotic birds have been procured to the effect that the birds to be exported are from Captive Bred Stock. Exports, if allowed, are subject to pre-shipment inspection and provisions of the Convention on International Trade in Endangered Species of Wild Fauna and Flora (CITES). Rs. 25550.00 crores has been proposed under the National Food Security Mission (NFSM) for the 12th Five Year Plan. It is proposed to continue NFSM during the 12th Five-year Plan with some modifications. The revamped NFSM forges linkages with all concerned in implementation of crop production activities which have direct bearing on enhancing and stabilizing the crop production. NFSM is being revamped during the XII Plan with focused attention on indentified crops following a location specific, targets oriented production strategies. As per information available, the countries which are the largest contributor to Green House Gas (GHG) emissions in percentage terms are: China - 19.5%, USA - 19.2% India - 5.3%, Russia - 5.1%, Japan - 3.6% and Germany - 2.6%. As India`s Gross Domestic Product grows, its emissions will increase in absolute terms but the growth rate of emissions will moderate as reflected in declining emissions intensity of Gross Domestic Product. As per Indian Network for Climate Change Assessment Report released in May 2010, the country`s GHG emissions have increased from 1228 million tones Carbondioxide (mtCO2) equivalent in 1994 to 1727 mtCO2 equivalent in 2007. 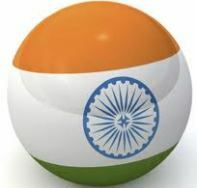 India does not have legally binding reduction commitments under Kyoto Protocol. However, Government of India is taking steps voluntarily to reduce GHG emissions. The Government has released the National Action Plan on Climate Change (NAPCC) in June 30, 2008 which outlines India’s strategy to meet the challenge of Climate Change. Two of the eight National Missions i.e. National Solar Mission and National Mission on Enhanced Energy Efficiency relate to mitigation of emissions and include ambitious programmes aimed at generating solar power and conserving energy.